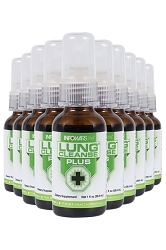 The Infowars Life Lung Cleanse™ is the result of ancient wisdom combined with herbal science reinterpreted in the light of modern day herbology. 1. Indoor air has been shown to have pollutant concentrations much higher than outdoor air. 2. Most people spend over 90% of their time indoors, trapped in pollutants. 3. Over 35 million people in the U.S. alone have some form of chronic lung condition. 4. An estimated 42.1 million (around 18.1% of the population) Americans smoke. 5. Over 1,000 types of mold and mildew have been identified by scientists within homes located in the United States. SIX out of TEN homes and buildings are "sick" according to the EPA. This means they are hazardous to your health as a result of airborne pollutants. · The out-gassing of carpets, dust mites, molds and mildew, fungi and other toxic chemicals all play a role in indoor air pollution. · Over 1,000 types of mold and mildew have been identified by scientists within homes located in the United States. · Allergen levels in super-insulated homes can be even worse. 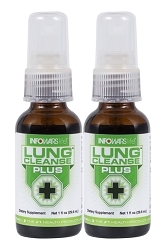 · The history of the Infowars Life Lung Cleanse™ is based on the proprietary Spagyrex® process by Dr. Edward Group which was invented during his research into the basis for vibrant health. · Finding that our toxic air and environment was leading to the accumulation of toxic substances in the body, this led us on a journey to create the most powerful herbal lung cleanse and respiratory support product on the market. · Our key process combines ancient and current technologies to create a revolutionary, multi-step, proprietary processing technique. This follows the principle of separating and recombining all the elements of an herb, to extract the most powerful essence of its healing nature. 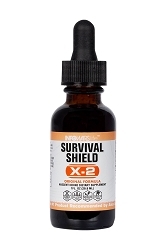 · The convenient 1 ounce bottle can be carried during travel to protect you from toxic airplane air. 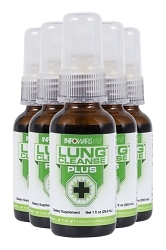 Order the Infowars Life Lung Cleanse™ and see the difference.